Conversion of a 4-family brownstone to a 3-family. 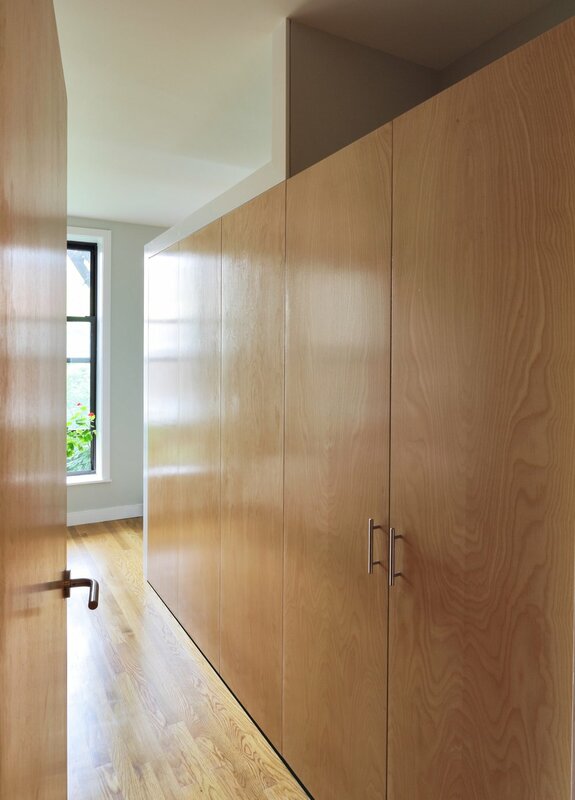 The focus of the project was the renovation of the owner's apartment, including an expansion from a duplex to a triplex. 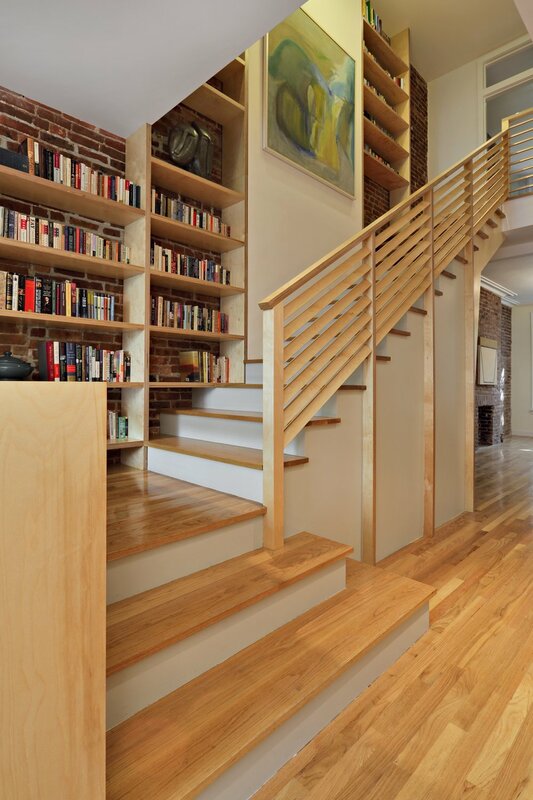 The design centers around a dramatic two-story space which integrates the entry hall and stair with a library, a small desk space on the lower level and a full office on the upper level. The office is used as a primary work space by one of the owners - a writer, whose ideal working environment is one where he is connected with the rest of the family. 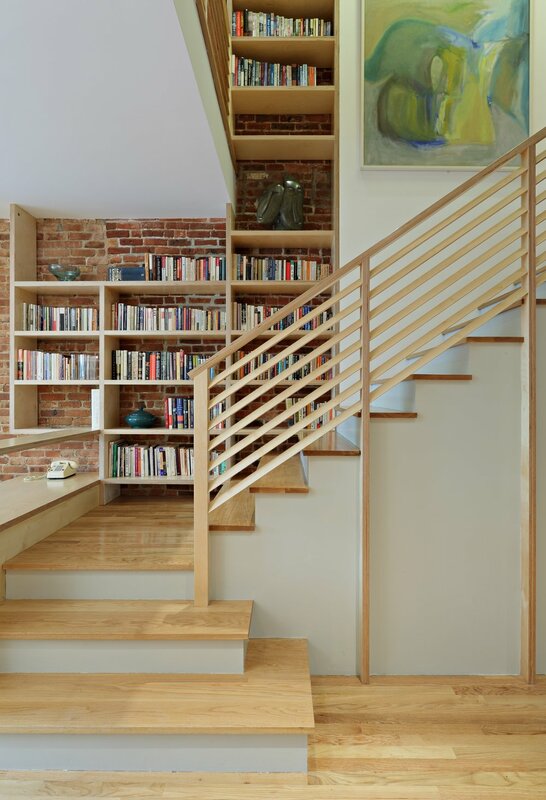 This central section of the house, including the writer's office, was designed to maximize sight lines and provide as much connection through the spaces as possible. 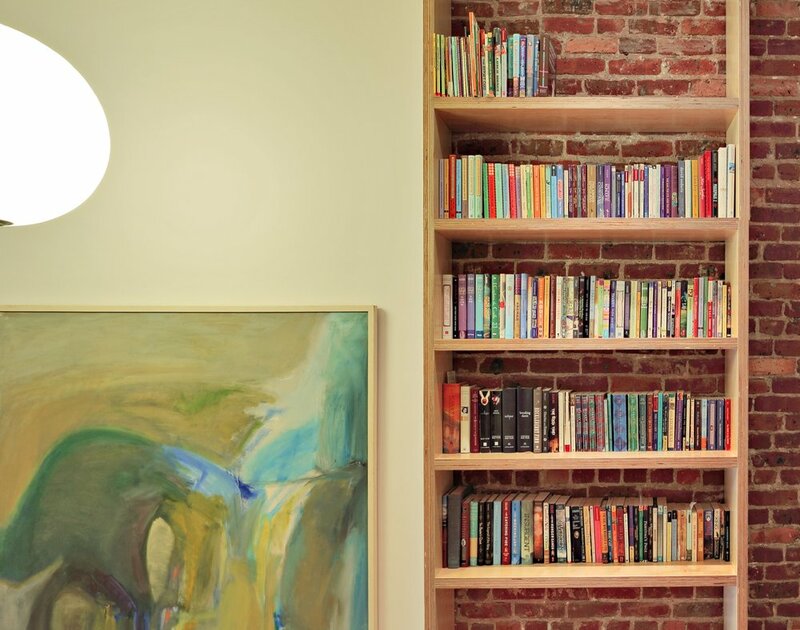 This openness was also intended to bring as much natural light as possible into this center portion of the house; typically the darkest part of a rowhouse building.